If you're looking for an excellent and reliable car but don't want to pay the price of a brand new car, considered a used car. Nothing screams reliability and safety louder than a Honda Accord. If you're in the Northern California area, stop by Lodi Honda. Located at 1700 S. Cherokee, Lodi Honda serves Stockton, Elk Grove, Sacramento and The San Joaquin Valley. Features included in the used 2015 Used Accord are parking sensors, Rain-sensing variable intermittent windshield wipers, a 7" Display Audio, and a speed-sensitive volume control. Honda is known for its safety features. Safety features that are standard on most used Accord models include forward collision warning, vehicle stability assist, anti-lock braking system, electronic brake distribution, brake assist, rearview mirror, tire pressure monitoring system, daytime running lights, front / side airbags, collision mitigation braking system, and road departure mitigation system. Approval for a used Honda Accord has never been easier! Their friendly staff is on standby to assist you with any questions and concerns you may have. 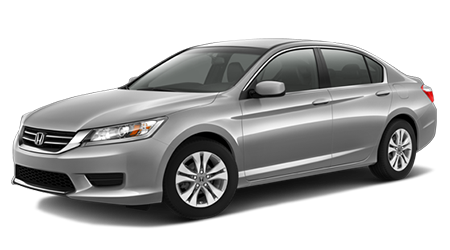 You can also go online to their website and fill out an application, Whether you have bad credit, no credit, or are a first-time buyer, Lodi Honda will work with you to ensure you have used Honda Accord today! If you're in the Northern California area, stop by Lodi Honda. Located at 1700 S. Cherokee, Lodi Honda serves Stockton, Elk Grove, Sacramento and The San Joaquin Valley. The friendly dealer ensures customer satisfaction and will make your day today!